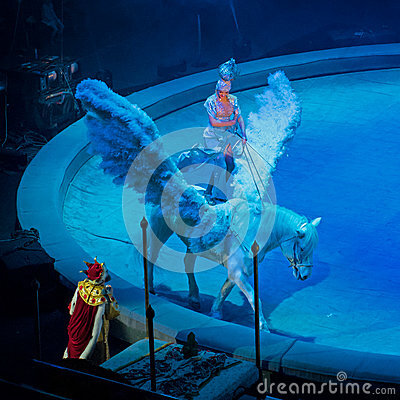 Saint-Petersburg, Russia - January 8, 2017: Circus performance -Prophetic Dream- - a fragment of view. Saint-Petersburg, Russia - January 8, 2017: Circus performance -Prophetic Dream- - a fragment of view. The performance took place in Sibur-Arena.